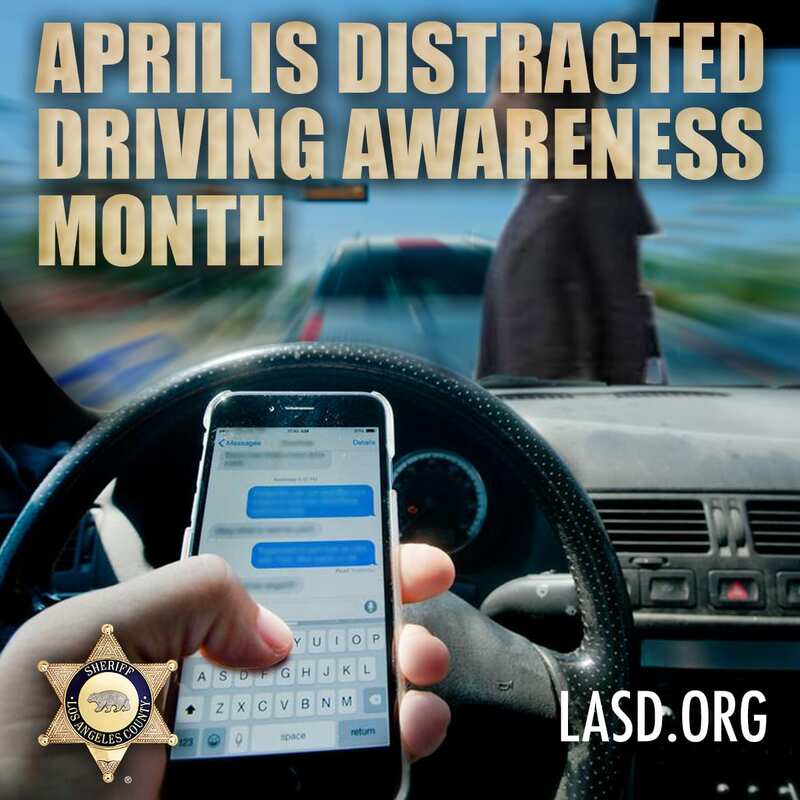 The month of April has been designated Distracted Driving Awareness Month nationwide, and the city of Santa Clarita joins the Santa Clarita Valley Sheriff’s Station in reminding residents to be a “Heads Up” pedestrian, cyclist or driver. Law enforcement agencies coast to coast including the Los Angeles County Sheriff’s Department are banding together to educate citizens on traffic safety throughout the month. In 2018, the citywide traffic collision rate fell 14 percent to its lowest mark on record – with zero pedestrian or cyclist fatalities for the second consecutive year. However, 2019 has been off to a rocky start, with two fatalities and several dangerous accidents. “It is disappointing to see how many drivers the deputies pull over for using their cell phones,” said Santa Clarita Valley Sheriff’s Station Captain Robert Lewis. In 2019, the “Heads Up” public safety campaign will once again encourage residents to “Disconnect from Distractions” on the road and “See and Be Seen” when they are utilizing sidewalks, bike lanes and crosswalks. Our community was designed with numerous pedestrian bridges so people can safely cross major roads. We urge people to take the few extra steps to bridges or nearby crosswalks to ensure a safe crossing. For more information about the city’s efforts to improve traffic and pedestrian safety in Santa Clarita, visit santa-clarita.com/HeadsUp.